The Canon IXUS 500 HS is a very compact camera with a massive 12x optical zoom lens, Daniel Bell reviews. 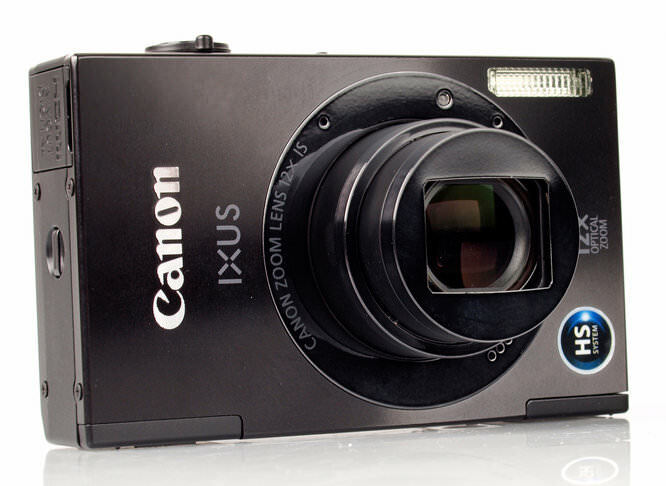 The Canon IXUS 500 HS was released in January 2012, it has a 12x optical zoom lens packed into its incredibly tiny body. 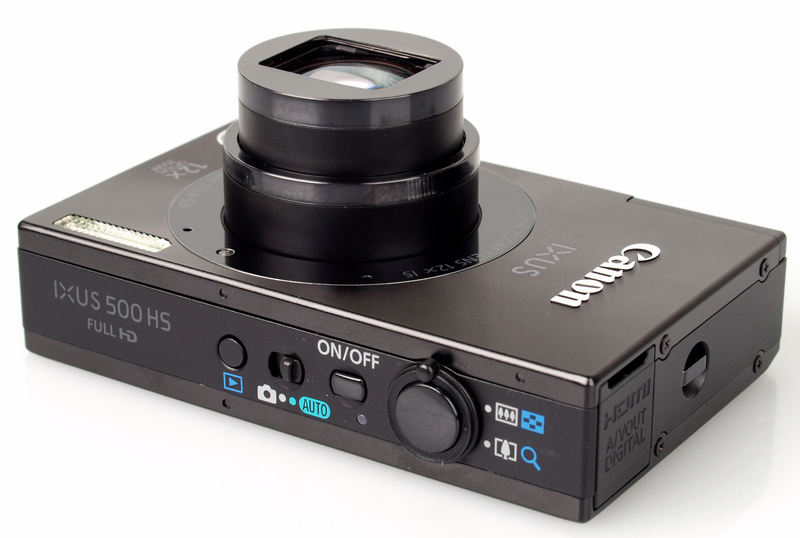 There is also a 10.1 megapixel CMOS sensor and full 1080p HD video recording. The IXUS 500 HS is available in red, black, blue and silver, priced at £309.00. The IXUS 500 HS measures just 87.1 x 53.9 x 19.2mm, weighs just 155g but packs a 12x optical zoom lens, which is a 35mm equivalent of 28 - 336mm and can be extended to 21x with ZoomPlus. This means you can shoot both close-up and distant objects and then keep the camera in your pocket. The camera has a 10.1 megapixel CMOS sensor and the HS system is designed to excel in low light. To help take blur free photos there is Intelligent Image Stabilisation, which adjusts the optical image stabilisation to the scene from 7 modes. In order to make picture taking as easy as possible there is Smart Auto mode which automatically selects the cameras settings from 50 different variables. With Face ID you can also register 12 faces from your friends and family. The IXUS 500 HS can capture fast-paced action with High-speed Burst or Handheld Night Scene can be used to combine a sequence of high-speed shots into one to capture nightscapes without a tripod. Videos are recorded at full 1080p HD at 24fps with stereo sound and optical zoom, with Intelligent IS helping keep footage steady. It is also possible to shoot videos at high-speed with Super Slow Motion Movie mode. Movie Digest mode can be selected to record up to 4 seconds before each picture is taken, which is then combined to create a 720p HD movie. To view your videos, the camera can be connected via HDMI to a HD TV. 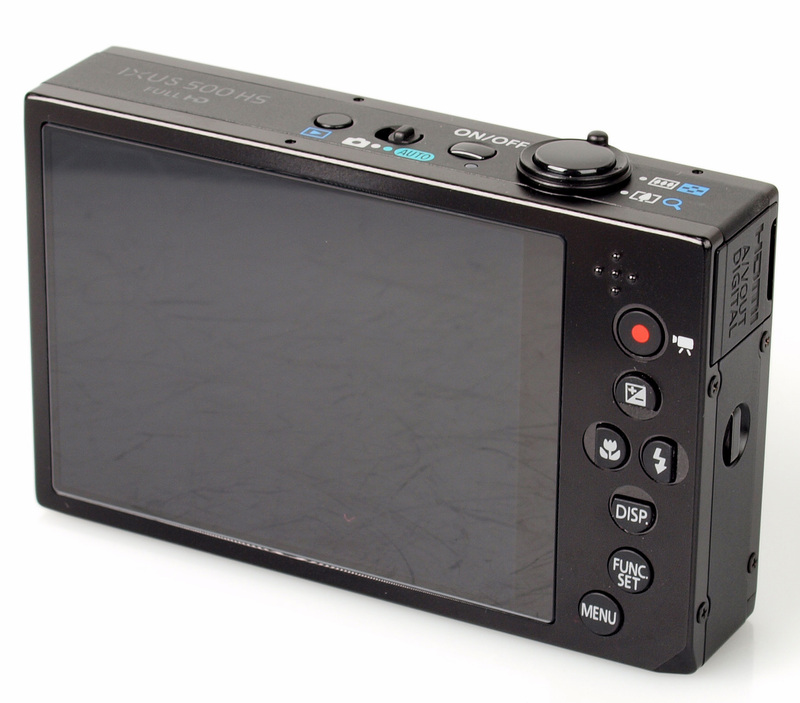 There are two striking characteristics to notice when you first pick up the IXUS 500 HS, both its small body and very rectangular design, which does make it easy to grip. All of the buttons are extremely tiny with the ones on the rear of the camera being placed close together, if you have large fingers you may struggle with them. The four buttons for exposure compensation, macro, flash and disp all double up as a d-pad. The other buttons on the rear are function set, menu and movie recording. 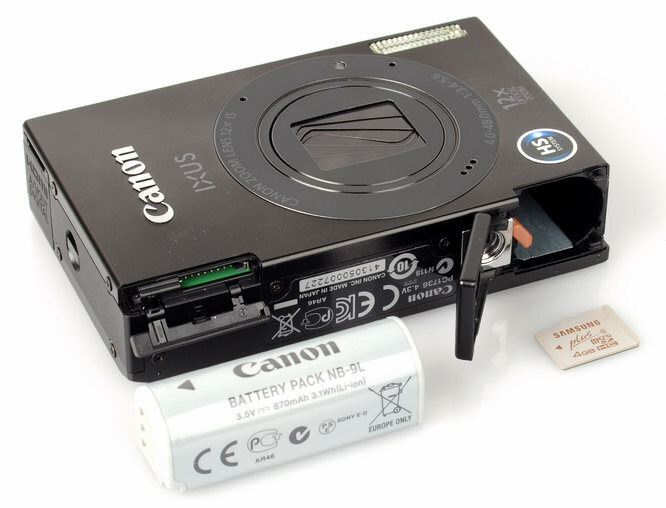 The playback button, which works even when the camera is off, is found on the top of the camera with the shutter release, on/off switch, shutter, zoom-rocker and mode select. The camera has a clear and easy to navigate menu system, with the function set button taking you to all the shooting settings available, further options can be amended by pressing the menu button. The small buttons have allowed for a 3 inch 460k dot LCD screen, with a tempered glass outer layer and is easy to view in all lighting conditions and all angles. It may have been better if Canon had used a touch-screen rather than small buttons. There is an optional waterproof case available which allows shooting down to depths of 3m. The battery is a similar size to an AA battery and has a CIPA rating of 190 shots, this is quite a low number and it would be ideal to carry a spare. We tested the camera's performance at focusing, shutter response, shot to shot time, continuous shooting etc. and have posted the results below. To test this we took 6 or more shots and calculated the average. Continuous shooting takes full-sized images at 2.4 fps, with High-speed burst limited to 2.5 megapixels. The images produced by the IXUS 500 HS have excellent colour reproduction and are well exposed. Detail is OK throughout the images whether shooting wide or with the full optical zoom, with some purple fringing evident on occasion. The lens has a minimum focus distance of just 1cm in macro mode and this allows for impressive close-up images. There isn't any noise at ISO 100 and when you go through ISO 200 and ISO 400 there is only a very small increase in noise levels with sharp images produced. At ISO 800 there is enough noise to cause the images to lose a touch of sharpness. Noise then becomes significant to enough to effect image quality at ISO 1600 and ISO 3200, but noise doesn't effect the quality of the colours in the images, making these higher ISO settings usable for images which are to be resized for use on the web. Landscape mode does an excellent job of creating images with great blues and greens. Portrait mode takes images with pleasant skin tones, but there is some red-eye evident. Further portrait modes include Smooth Skin and Smart Shutter, which uses face detection to take pictures automatically. High-speed burst has been used to capture the water droplets flowing from the fountain. The following pictures have been taken using some of the creative modes available. Other modes include miniature, underwater and stitch assist. Further example images can be seen in the ePHOTOzine Equipment Database. The auto white-balance copes perfectly well in most lighting conditions. Under our incandescent studio lights the AWB setting gave an orange cast to the image, with the incandescent preset giving a better looking image. Under the fluorescent lights, the AWB performs well, with the fluorescent preset giving a very slight cast in the image. My colours allows you to adjust colours to your preference, with examples of each below. The following video has been shot at full 1080p HD. 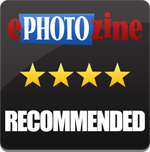 Examples using the optical zoom and Super Slow Motion mode can be found on the ePHOTOzine YouTube Channel. The Canon IXUS 500 HS is currently available for £309.00. Other compacts with a similar zoom range and megapixels are the Canon IXUS 1000 HS (10x zoom at £249.00), Canon IXUS 510 HS (12x zoom at £349.00 and Ricoh CX6 (10.7x zoom at £259.00). There are many cameras available with similar zoom and more megapixels, such as the Canon Powershot SX150 at £164.00, Olympus SH-21 at £184.00, Nikon Coolpix S8200 at £199.95 and Canon IXUS 1100 HS at £304.00. The Canon IXUS 500 HS is ideal for those who want an extremely small camera but want more zoom than you typically find on such cameras. The downside to the tiny body are the small buttons and fairly low battery life. There is also full 1080p HD video recording. The IXUS 500 HS takes images with excellent colour reproduction and detail is OK, meaning it will appeal to those who like to share images on the web rather than produce large prints. 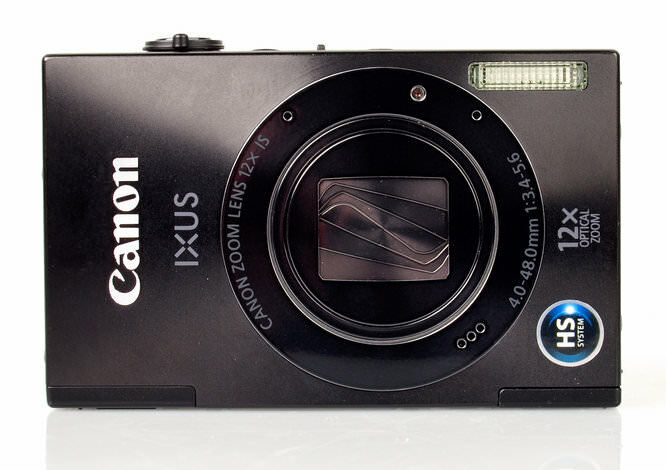 The Canon IXUS 500 HS packs a lot of zoom into a very small body and takes colourful images.